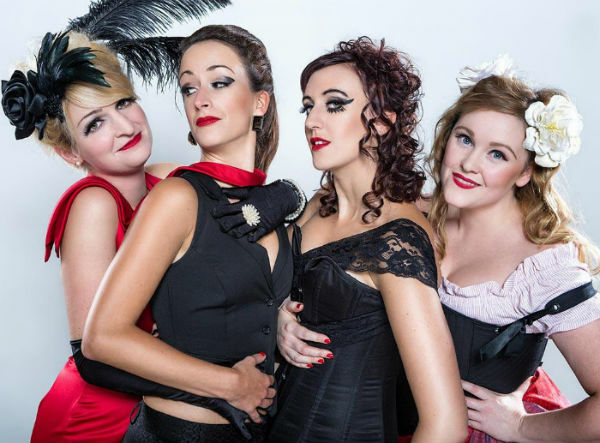 The Ruby Dolls are a Cabaret ensemble who design and create personalised cabaret shows. Perhaps you want to inspire your employees at a business event; celebrate a special birthday or even share the journey of you and your partner on your wedding day? 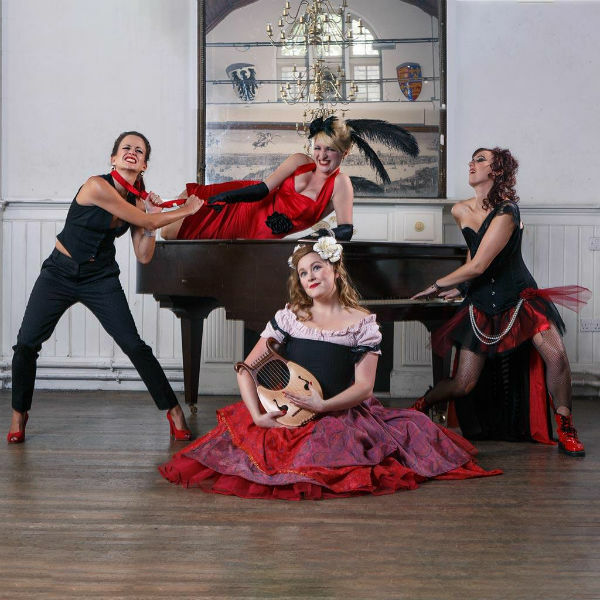 The Dolls will work closely with you to stage your story with wit, flair and four-part harmony! They will create a unique and personal experience you and your audience will never forget. They will work with you to create your perfect Cabaret. It’s completely unique, for one night only. They’ve told life stories at birthday parties; love stories at anniversaries; even created a capitalism themed Cabaret for a Bank! Whatever the occasion, they will create a magical performance for you and your guests. – Speak to a Ruby Doll on the phone to discuss your special event. She will explain all possibilities available and exactly what options might suit you best. – The Dolls then get their heads together and based on their experience, create a unique proposal for you pulling together all of what you want. A Doll then meets with you to flesh out the details and begin writing the script. – You approve the script and songs (including that joke about Uncle Harry…), they rehearse and arrive on the big day to wow your audience! 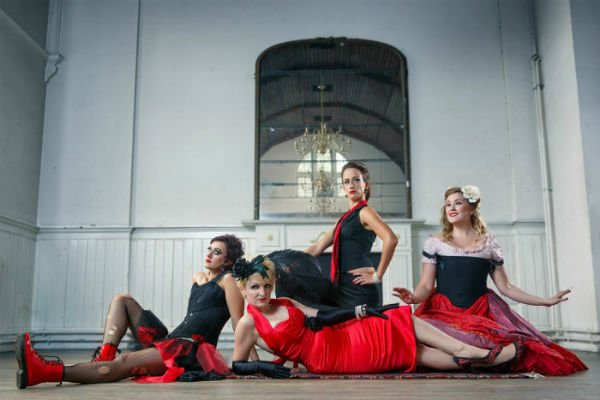 Based in London, they have been making Cabaret for six years. They use close harmony singing to tell stories and delight our audiences. They pride themselves on working to the highest standards. The Dolls are equally at home working with big names such as Accenture, Fortnum and Mason and Lastminute.com right to Phillippa Jones’s German themed 50th birthday party. They also produce and create their own critically acclaimed public shows and have performed at venues such as Soho Theatre, St James Theatre, The Edinburgh Festival and on BBC Radio. They will be happy to discuss your requirements. The Ruby Dolls are able to bring their own keyboard. For medium to large venues a PA will need to be provided, with 4 mic, stands, and amplification for the keyboard. Performance times range from 10 minute performances to full 1 hour long shows. ★ Fantastic vocals with wit, flair and four-part harmony! The Ruby Dolls were fantastic and really made our theme for the event come to life, with creative storytelling and spectacular vocals, the audience was wowed by the performance. You were a delight and added a wonderful touch of glamour and warmth to the day…a great asset…Thank you for your flexibility, your humour, your warmth, your charm.